You are here: Home / CELEBRATIONS / Birthdays / Have an Off the Hook Birthday! Love Nerd Birthday Month continues with an inexpensive, easy and SWEET birthday gift in a jar idea If you want one of the gifts I am giving away – 10 Erin Condren Life Planners – make sure to enter by Friday, March 13th! I don’t think birthdays always need to be accompanied with a gift. We very much believe in spending more of our money on excursions, fun get togethers with friends or even a party. It is time with friends and family that I want most on my birthday – well, and brunch! I am very lucky my husband knows me so well as this year that is exactly what my birthday entailed – a surprise brunch with friends the Sunday before my birthday. It was so much fun! With that said, I still think everyone should get at least a little treat on their birthday. It could be the perfect card that will make them laugh, a favorite photo from the year with them, a couple flowers, one of the yummy dessert recipes here on The Love Nerds, or maybe a jar of Swedish Fish! Any little thing to make them feel special. 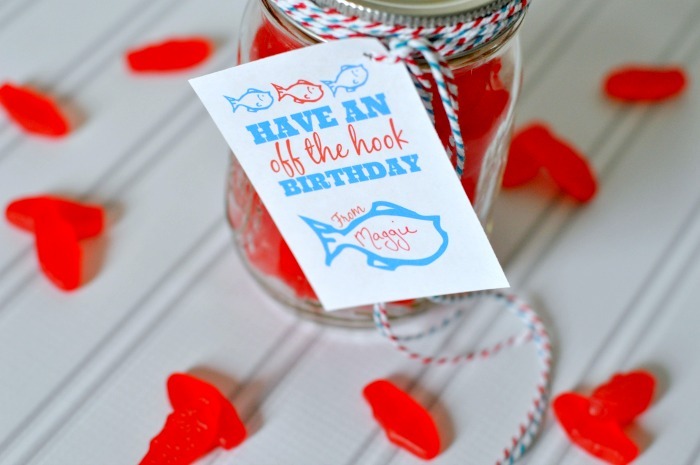 If you have a Swedish Fish Lover in your life, this really is such an inexpensive gift that they will love. I got the idea from a random picture I saw on Instagram of someone’s wedding favors; they used gummy worms with the line, “hooked on each other since…” And I figure, who doesn’t love having candy to eat on their birthday? 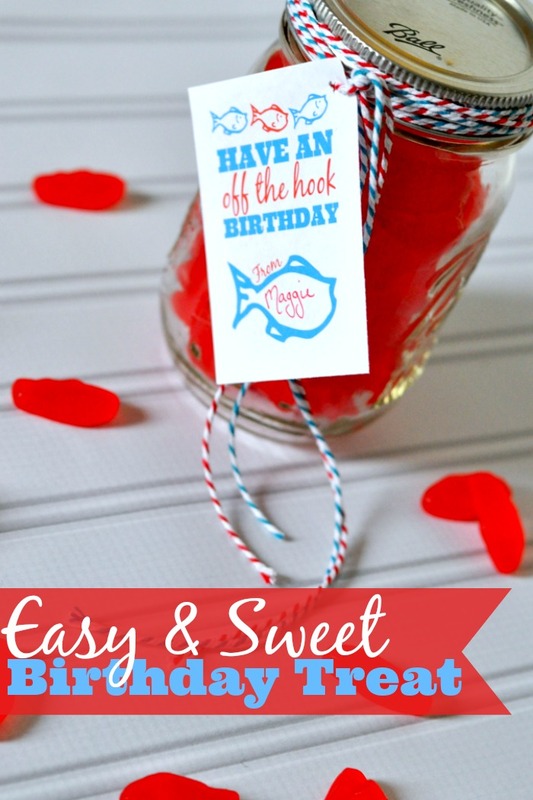 To make it even easier for you, I am giving you these FREE birthday tags you can use, too! So really, go crazy and give everyone one! 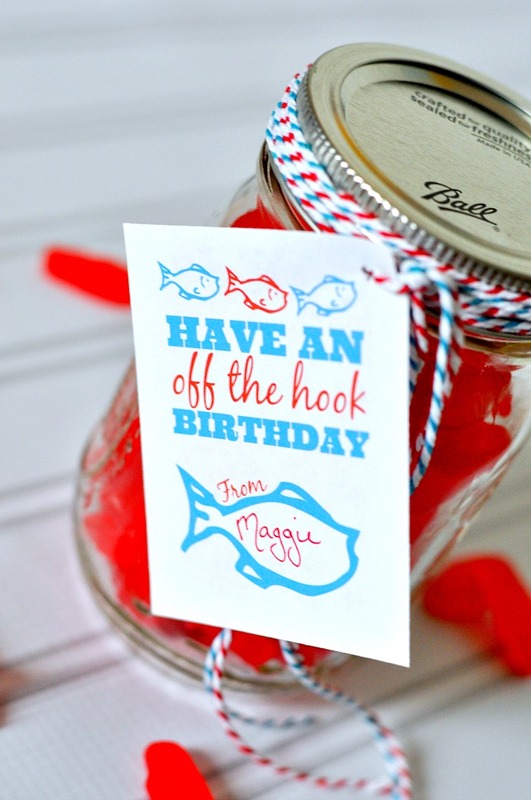 Want some other birthday gift in a jar ideas?! Check out some of these!